Using the procedures described above, redox probes can be covalently attached to the nucleobase, ribose, or phosphate moiety of DNA. The synthetic procedures are amenable to both inorganic and organic redox probes. The site-specifically labeled ssDNA and dsDNA can be characterized by a number of techniques including mass spectroscopy, gel electrophoresis, HPLC, melting temperature, CD, and DSC to obtain information about identity, purity, duplex solution structure, and duplex thermodynamics. 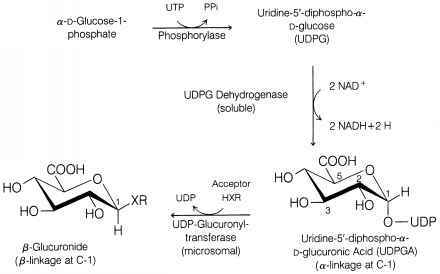 Redox probe-labeled oligodeoxynucleotides provide a unique means to systematically study charge-transfer reactions in DNA.